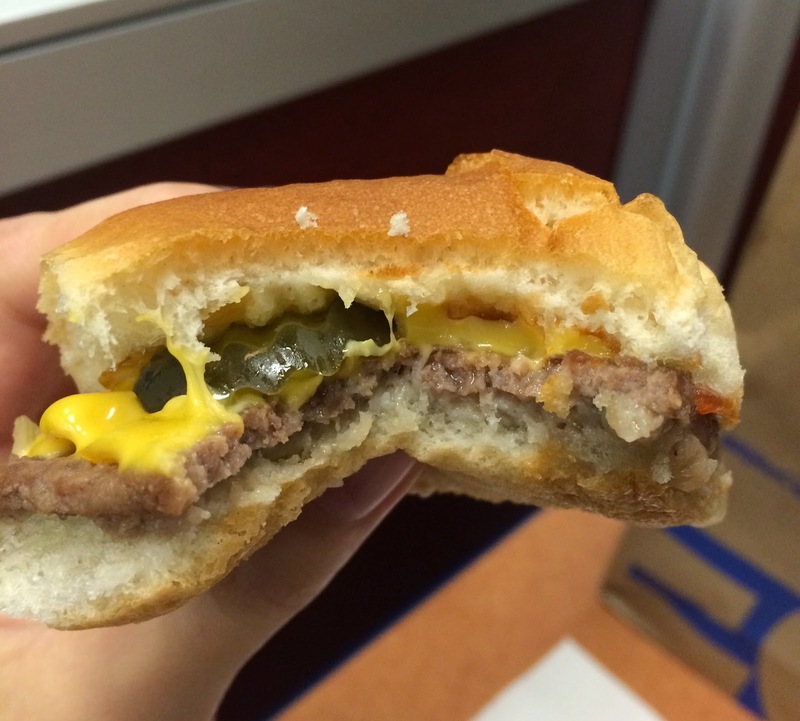 Another burger from White Castle was "Cheese Slider." Jalapeño Cheese Slider was in a green box, The Original Slider was in a blue box and Cheese Slider was in a yellow box. 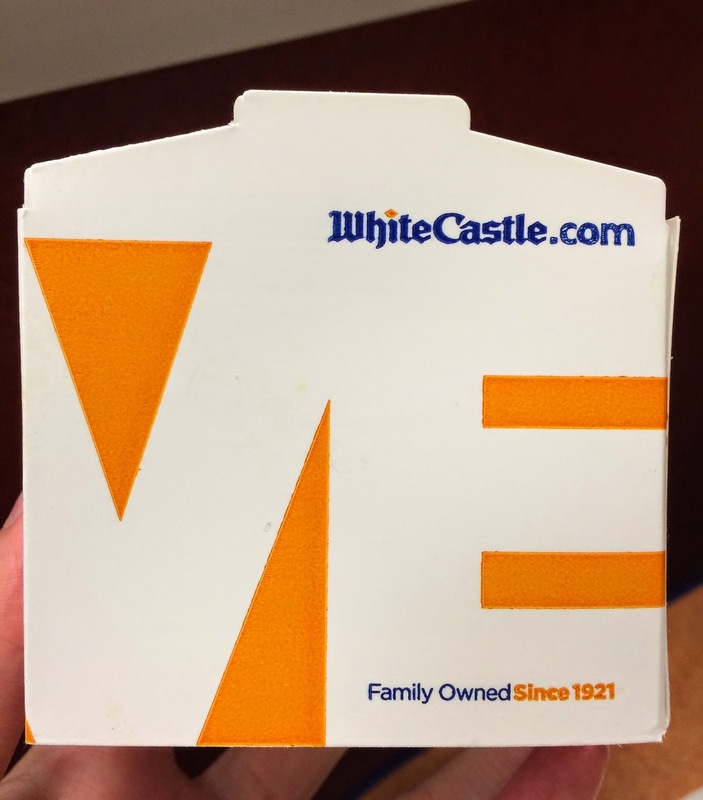 Other reviews of White Castle. Cheese Slider contained a slice of melted American cheese and a pickle with a beef patty, onions and ketchup between buns. American cheese had the characteristic flavor with saltiness. 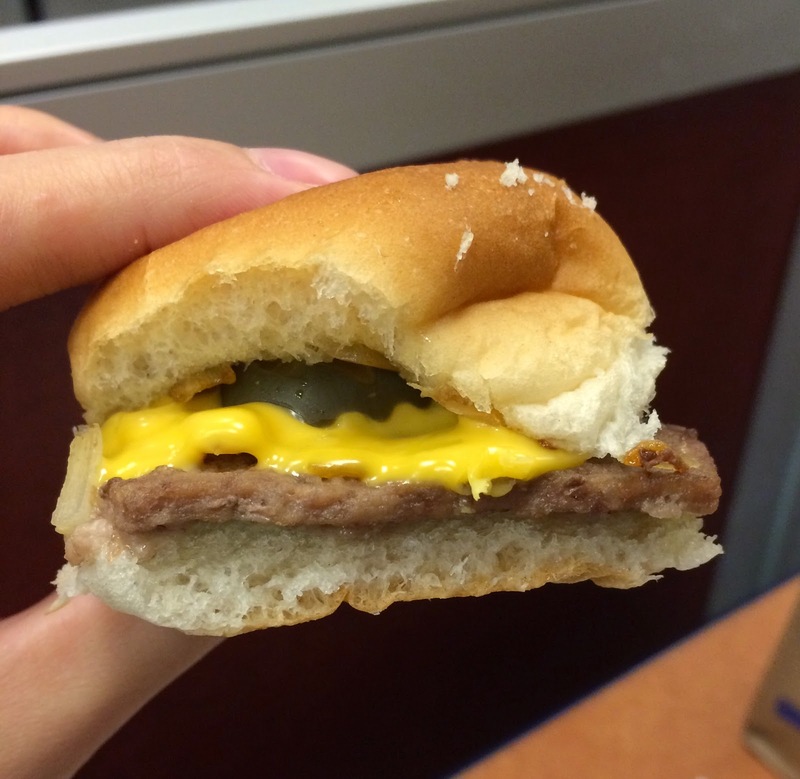 It's just The Original Slider with American cheese like the HP says. Among 3 sliders I had, I liked Jalapeño Cheese Slider the most, followed by Cheese Slider and The Original Slider.